Small and thin Light Plate provides generous light for it's size and the system can charge your cell phone or tablet too! NEW! This self-contained light system is great for cabins, trailers, sheds, storm shelters, remote villages, power-outage emergencies, and disaster situations where the power grid has been shut down. This system can be installed anywhere grid power is not available. 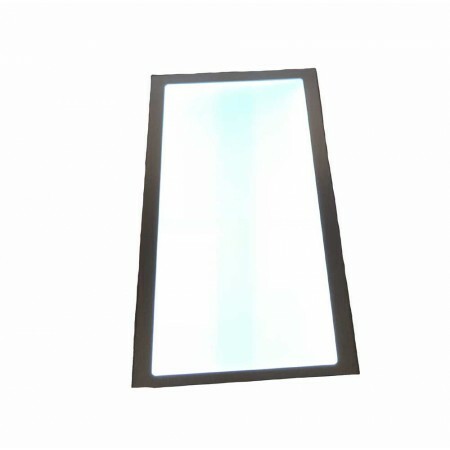 Includes a thin KSOL Power Light Plate that can be mounted on the ceiling or wall. 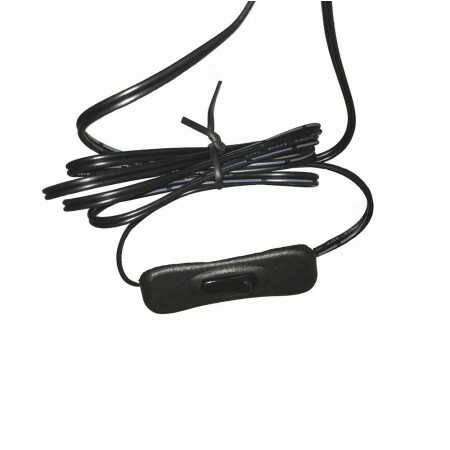 The included wired rocker switch can be mounted on the wall with the attached adhesive strip for easy light operation. The KSOL Power Box includes an indoor enclosure with latched door, a charge controller with LED power indicators, and a 7 amphour AGM battery. The charge controller also has a USB port for charging cell phones, tablets, etc. The system includes clips and screws for mounting the KSOL Power Box on a wall. 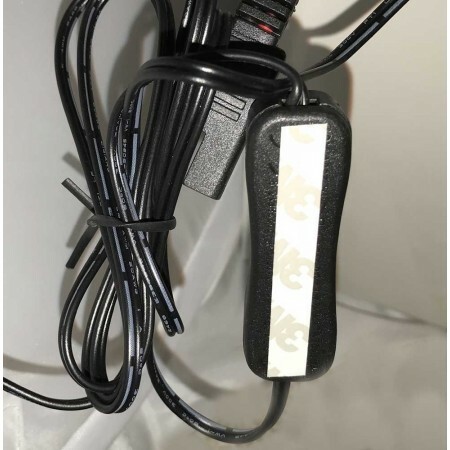 The 20 watt solar panel has a 20 foot cable that easily connects from outside the dwelling to the KSOL Power Box inside with a simple push connector. The module has an aluminum anodized frame and tempered glass for years of use. The 20 watt solar panel can be mounted on a roof or on a pole (mounting hardware not included due to the varying mounting situations and different mounting options; see Related Products at left for mounting solutions.) Mount the solar panel facing due south for northern latitudes for the best energy production year round. KSOL Power Box comes preassembled and prewired including an ABS plastic enclosure with hinged door with gasket and closure buckles with hole for small padlock. Two wire cable glands allow wire entries for PV module cable and cable to Light Plate. KSOL Power charge controller allows for DC loads up to 10 amps at 12 volts DC. This controller also has battery state-of-charge indicator lights to provide immediate status of the battery and charging. 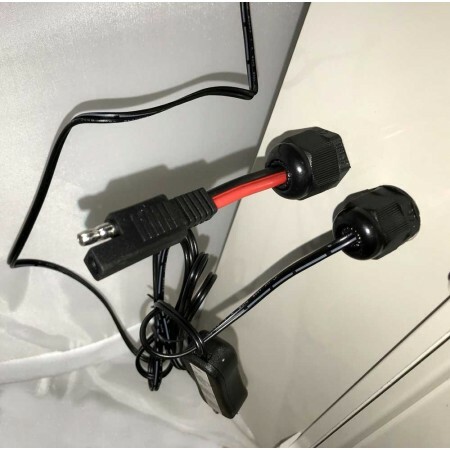 Charge controller will automatically disconnect the load if battery voltage drops too low, protecting the battery from over-discharge. Charge controller also includes a USB port for charging cell phones, tablets, etc. Includes 7 amphour AGM maintenance-free sealed battery. The 300 lumen, 12 volt DC LED Light Plate provides exceptional light for its small size. Backside includes adhesive for mounting to ceiling or wall. Lighting runtime is 10+ hours a day (with battery fully charged from solar panel (4+ hours of direct sunlight on solar panel)). Light Plate and switch together have 9.5 feet of wire. Simple wire connectors for connecting the light plate to the KSOL Power Box are included. Wire staples are also included for attaching wire to the wall or ceiling. 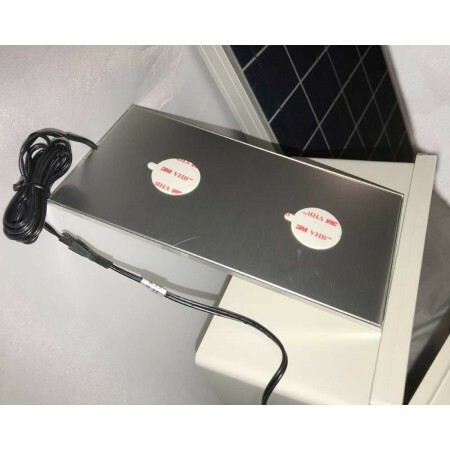 Includes (1) KSOL Power 20 watt polycrystalline PV module with a 25 year power output warranty and 20 foot cable with connector. 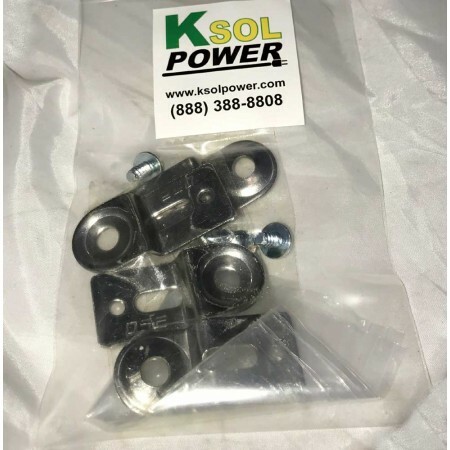 Simple wire connectors for connecting the solar panel to the KSOL Power Box are included. Note: Mount for solar module not included in this system. Select appropriate mount for module in Related Products on left depending on roof or pole/wall mount (or you can creative with your own mounting solution). System is also available other lighting configurations. Call us for a free load analysis and a custom system quote. 10 year warranty on solar module. Battery, solar module, and electronics enclosure may be shipped separately.